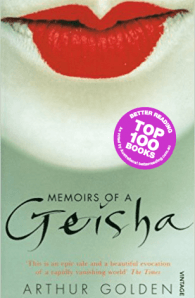 A seductive and evocative epic on an intimate scale, that tells the extraordinary story of a geisha girl. Summoning up more than twenty years of Japan’s most dramatic history, it uncovers a hidden world of eroticism and enchantment, exploitation and degradation. From a small fishing village in 1929, the tale moves to the glamorous and decadent heart of Kyoto in the 1930s, where a young peasant girl is sold as servant and apprentice to a renowned geisha house. She tells her story many years later from the Waldorf Astoria in New York; it exquisitely evokes another culture, a different time and the details of an extraordinary way of life. 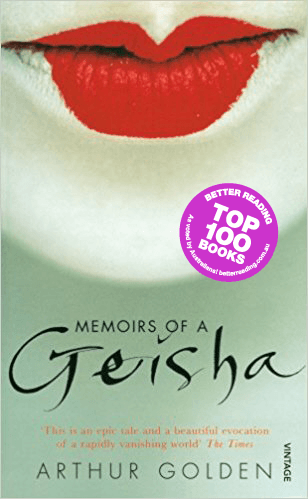 It conjures up the perfection and the ugliness of life behind rice-paper screens, where young girls learn the arts of geisha – dancing and singing, how to wind the kimono, how to walk and pour tea, and how to beguile the most powerful men.